Feel the love only a dog can give. Adopt today. We want the best homes for our dogs. If you work full time we will not consider a puppy or a dog who needs further training. We are their voice so will choose the home we feel is best for every one. Thank you for asking about our amazing dogs and for understanding. Sweet young Lily was left in a dog run with larger dogs who attacked her regularly for food. Yet she is the sweetest little girl at only 30 lbs. and remains loving to all humans and other canines. Lily deserves to live happily ever after. Can you give her that peace of mind and loving forever home? Message us on Facebook or contact us here to meet her. You won't regret it. 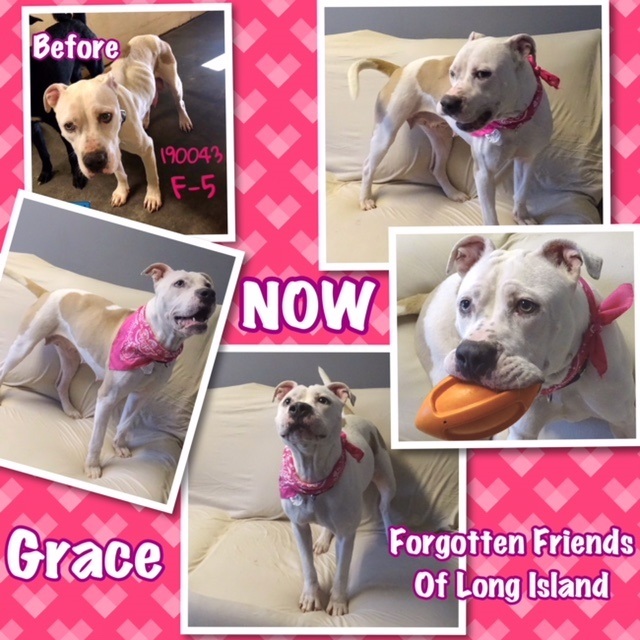 Grace was a stray who found herself in a high kill shelter with little hope of getting out alive. Grace was skin and bones and very weak. She was sad and confused but sweet and gentle. She has since been fully vetted and she has put on weight and doing well! Grace loves to play and loves everyone. She is about 2 years old and a wonderful girl in every way. Please contact us to meet our Grace. Our Little Lynn was left in a crate so long her side was burned with urine. Lynn is now spayed and updated and her coat is now healthy and beautiful. 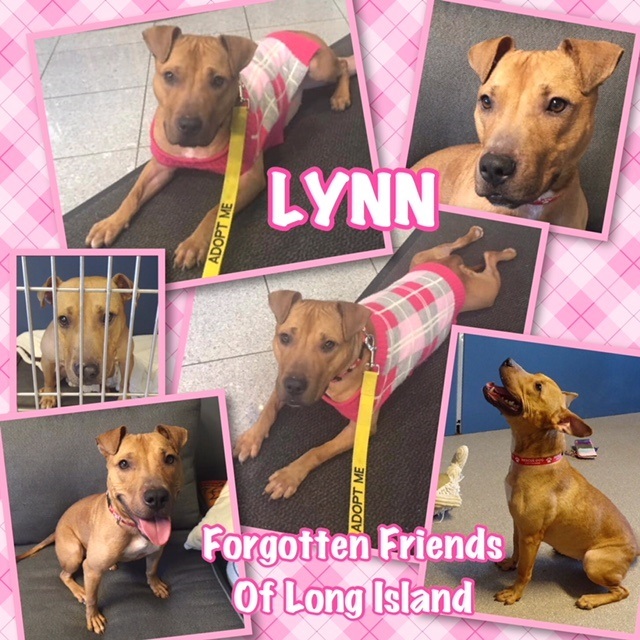 Lynn has been treated for heartworm and has about a month of restricted (no crazy running) activity. After that, she is cleared for normal activity. Heartworms is very common down south and we have had many dogs treated. They are all totally fine after treatment. Call us to meet Lynn, she is adorable and loving, 31 pounds of sweetness. 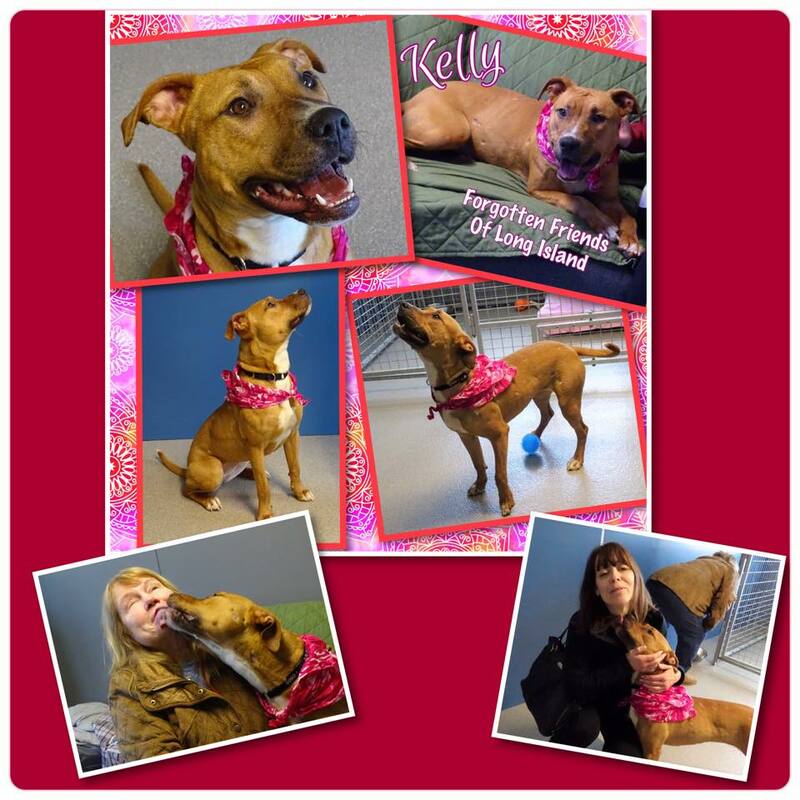 Kelly is a sweetheart who loves all people and only wants to kiss and be near you. She is also very playful with other nice dogs like herself. Young Kelly is looking for her forever home. Wouldn't you like it to be yours? Please contact us to meet Kelly. 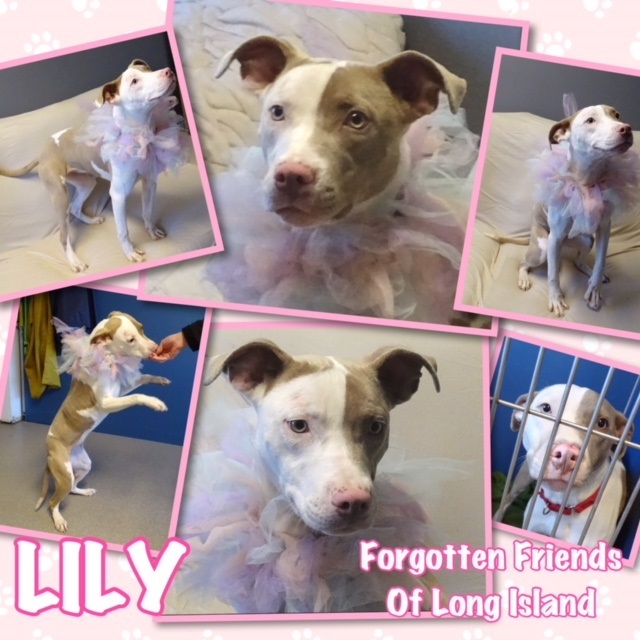 Forgotten Friends of Long Island provides residents of Nassau and Suffolk County the opportunity to adopt a rescue animal. We have been providing people across Suffolk and Nassau County with dog adoption opportunities for years and we love each and every person who has adopted one of our dogs. We are a non-profit organization and all the money we receive goes directly to helping our rescue dogs and cats. It is truly a great feeling to find a owner for each of our dogs. If you think you are right for one of our dogs and wish to adopt, please contact us today. Message us on facebook or send an email to ffoli.info@gmail.com. We can provide you with all the information required in our adoption processes. Help us find a new home for our rescue dogs!